Didn't get enough with the 'Tis the Season Sale? Well, here's your second chance. The ModCloth As You Wish Sale, featuring some of their most popular items, starts today! The ModCloth As You Wish Sale is a unique sale of the “Most Wished For” items and includes 100s of fan-selected styles at 25% off for a limited time! The styles were voted on by ModCloth's customers through the Be the Buyer Program, Tweets, Pins, Likes, Votes, & Wishes! 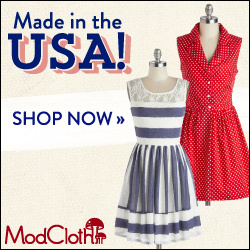 Remember, they have a ModCloth Made in the USA page. 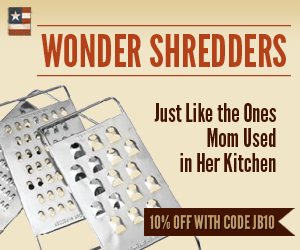 Don't miss out on this great opportunity to save on these beloved pieces.